Childhood is the most important time in your child’s development and stirring imagination is key. Not only does a well-developed imagination stoke creativity, it increases confidence, develops problem solving skills, and interpersonal skills. Fun, imaginative decor is a great way to encourage your little one’s growing imagination and inspire sweet, dreamland adventures. 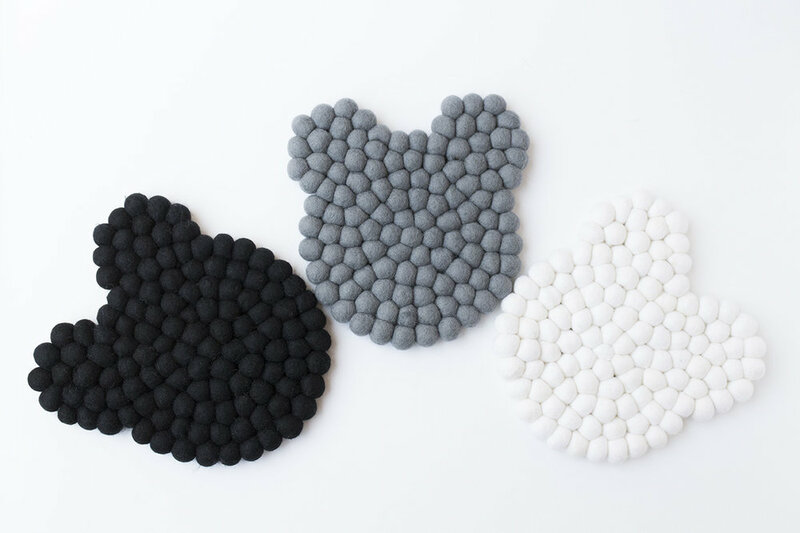 Our awesome new lamp mats are made with soft felt balls and come in colors ranging from pale pink to deep black so there’s something for everyone. Choose from two styles fuzzy, friendly bears or bunnies. These mats boast a minimalist style that’s anything but boring. Minimalist style is key in crafting a bedroom decor that will grow with your child so you can keep the same decor from nursery days to preteen years. For the same reason, these lamp mats are the perfect baby shower gift for any mother-to-be. There’s no need to guess what will match the nursery decor with these elegant colors and minimalist style. Let this adorable new fuzzy friend guide your little ones through endless adventures, imagination playtime, and the sweetest dreams while protecting their bedside table from scratches and scrapes. Your little one is sure to cherish the memories for years to come.